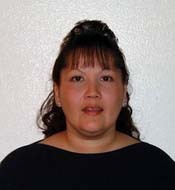 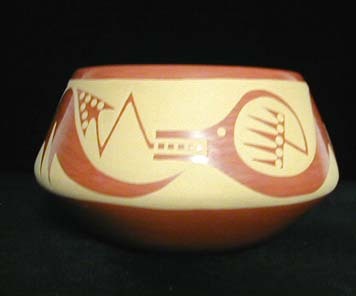 Dorothy Herrera is the daughter of deceased Cochiti potter Mary Frances Herrera. 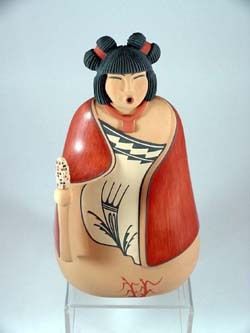 Mary Frances started making storytellers in the years after Helen Cordero invented the form at Cochiti in 1964. 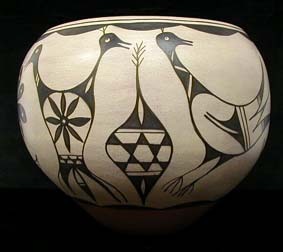 Dorothy learned the art from her mother and after her mother passed away around 1990 Dorothy was able to continue and expand upon her mother's work. 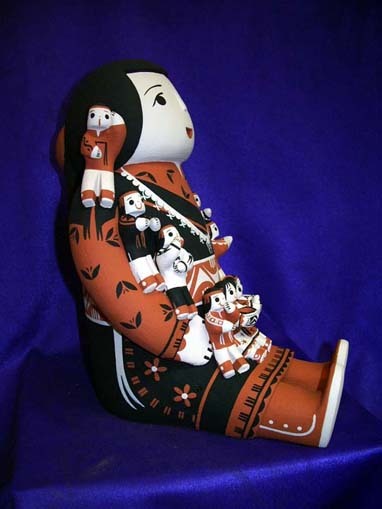 Dorothy makes three distinct styles of storytellers (miniature, solid-body and hollow-body) as well as wonderful bears (both seated and standing on all fours). 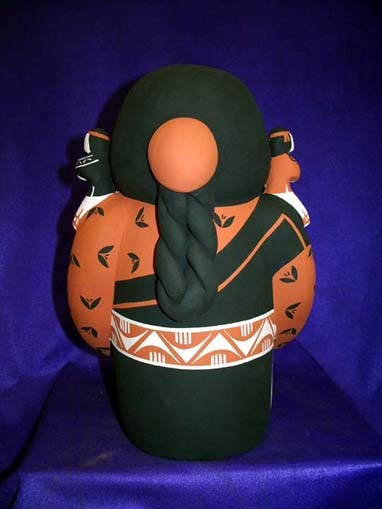 She will occasionally also do cats and owls. 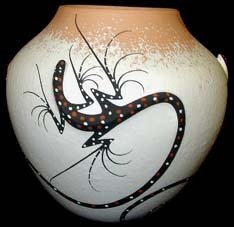 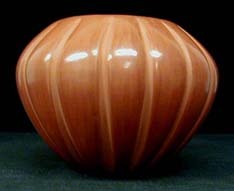 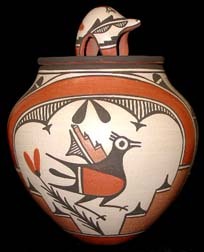 She has brought a great deal of creativity to the figurative style of pottery for which Cochiti Pueblo is so well known. 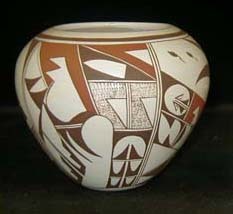 Along with Ada Suina and Mary and Leonard Trujillo, she is considered a successor of Helen Cordero and is looked upon as one of the prominent artist to continue the tradition set by her. 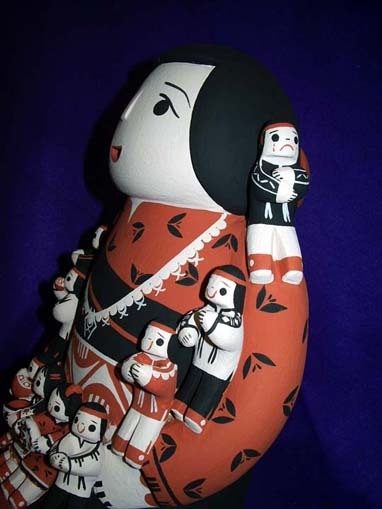 The present piece is among the few that Dorothy has made at this large size and I was fortunate enough to acquire it. 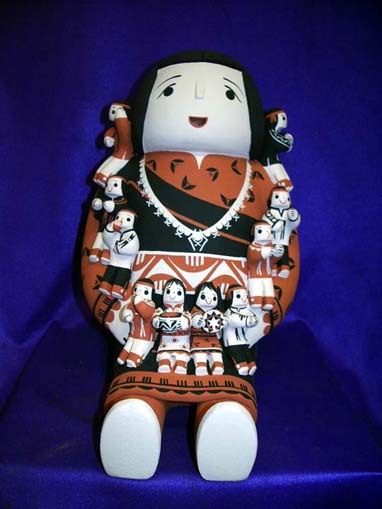 It measures a full 9 1/4 inches tall by 6 inches wide by 8 inches deep and depicts a sitting storyteller singing to 10 children.